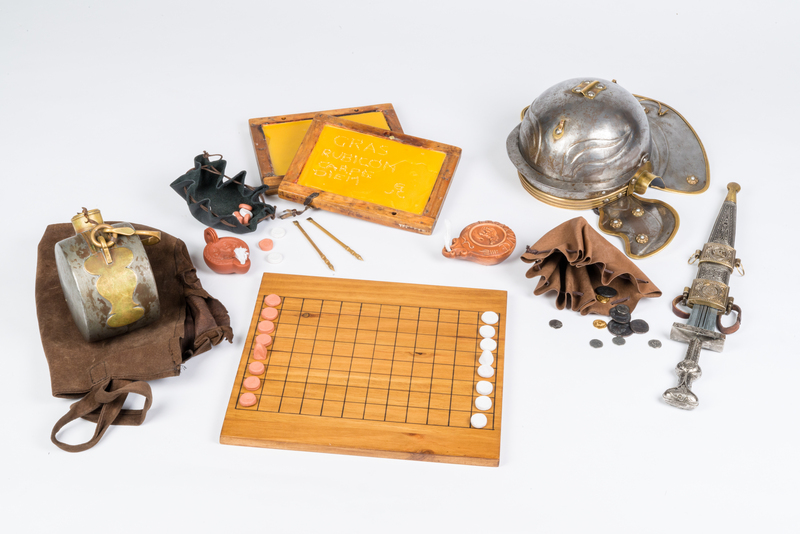 If you are teaching the Romans with your class, why not borrow our themed handling boxes for use in the classroom? Borrowing instructions are at the foot of the page - resources are available from both Glasgow and Edinburgh. A teaching pack accompanies the handling boxes with a detailed, overarching, set of Teachers’ Notes which explain how to use the teaching pack and provide background information and Curriculum for Excellence experiences and outcomes. It is linked specifically to Curriculum for Excellence experiences and outcomes, First Level in Social Subjects: People, past events and societies. But it can be adapted to be used by any age group. Each theme also has a set of Teacher’s Notes and accompanying set of ‘Let’s Investigate’ object discussion and information cards. These can be downloaded from the Historic Environment Scotland website here. The handling boxes have been designed to complement an exciting and innovative virtual reality game based on a digital reconstruction of Bar Hill Fort on the Antonine Wall. To maximise your class’s experience, download the free game, Go Roman, in either Android or iOS. Contact: Glasgow Museums’ Learning and Access team on 0141 276 9505 / 9506 or e-mail museums.schoolbookings@glasgowlife.org.uk. Collect from / return to: Glasgow Museums Resource Centre, 200 Woodhead Road, Nitshill, Glasgow G53 7NN. Terms: Boxes are available for up to 3 weeks. One box per school at any one time. Collection and drop-off is Tuesday – Thursday between 8.45am and 4.30pm. A date and time will be arranged directly with the bookings team. All 4 themed boxes are available to borrow from Historic Environment Scotland in Edinburgh. Contact: Historic Environment Scotland, World Heritage Team, 0131 668 8763 or email heshandlingboxes@hes.scot . Terms: Boxes are available for up to 3 weeks. One box per school at any one time. Collection and drop-off is Monday – Friday between 8.45am and 4.30pm. A date and time will be arranged directly with the World Heritage team.